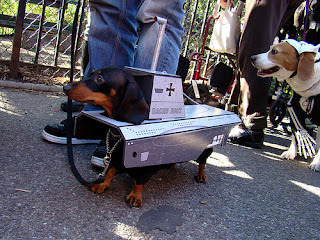 What a great costume for a little German dog! Make sure to check out all of istolethetv's photos of Halloween Dogs 2007 in this set of photos. 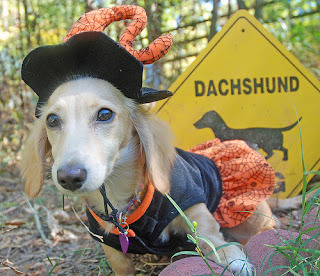 And check out all the most recent dachshund halloween photos right here at flickr. It'll make your day! Got this fun holiday children's book in your collection? 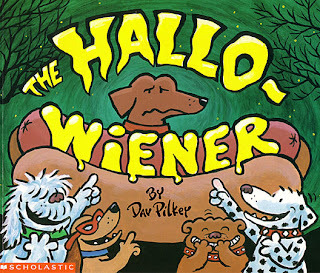 The Hallo-Wiener is a Halloween story by Dav Pilkey about a dachshund named 'Oscar.' Poor Oscar is relentlessly teased by all the other dogs, and his mother doesn't help matters any. Oscar daydreams about Halloween, looking forward to wearing a scary costume. But he finds out his mom has made him a hot-dog costume! Poor Oscar! Not wanting to hurt his mother's feelings, Oscar wears the embarrassing costume. The other dogs, of course, tease Oscar when they see him on trick-or-treat night. To make matters worse, the other dogs hog all the treats, leaving Oscar empty-handed. Now, what story would be complete without a happy ending? Yes, Oscar saves the day, and before you know it, Oscar, The Hallo-Wiener, is the "Hero Sandwich." 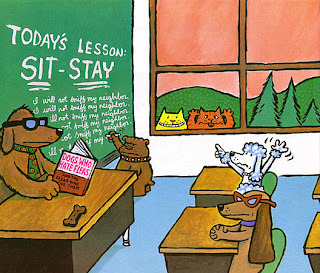 Check out Dav Pilkey's website for more info, sample pages, special notes, and games. Who? Television and radio pioneer Jack Paar (1918 - 2004) has been called the most imitated personality in broadcasting. He virtually created the late-night talk show format as the host of The Tonight Show , one of television's longest continuously running programs. The Washington Post said, "Jack Paar was genuine, and the footprints he left on the loony moonscape of television are enormous; they will be there forever." 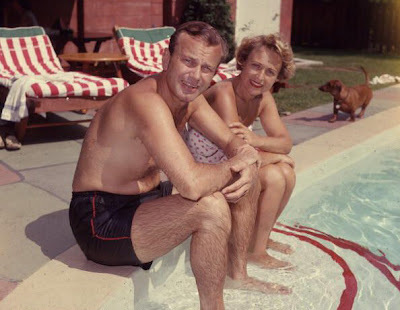 Above, Jack, his wife Miriam, and their dachshund enjoy the swimming pool at their home, early 1960s. As the stars of stage and screen were rising around him, Paar was becoming an icon himself, on television sets in the homes of millions of Americans across the country. 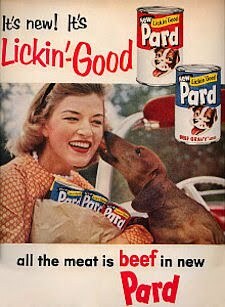 During the Golden Age of television, Paar was its golden boy, charming guests and viewers alike. From 1957 to 1962, Paar was the king of late-night television as host of The Tonight Show, which NBC eventually renamed The Jack Paar Show. He turned it from a typical variety format into something very different. With a rare combination of intelligence, irreverence and intuition, he invented a new genre of programming that would become ubiquitous to television. Paar helped launch the careers of such performers as Carol Burnett, Woody Allen and Liza Minnelli, but his guests weren't limited to the glitterati. He discussed religion with Billy Graham, visited Albert Schweitzer in Africa, and talked politics with Richard Nixon, all before the transfixed eyes of the American television audience. Find out more about Jack Paar at wikipedia. 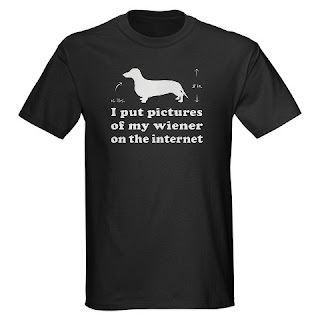 Kevin McCormick, the artist over at Obey The Purebreed, offers up this hilarious brand new dachshund t-shirt design. Also, check out this very nice "In Dog We Trust" 19x25" hand silk screened poster print now available in a limited edition of 150 archival quality signed and #'d prints. They're only 19 bucks. 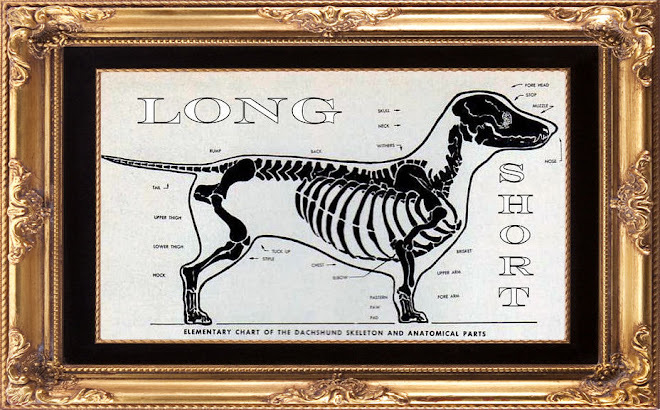 "This design is a tribute to the Dachshund (which began in 1885) and to the Dachshund as a revolutionary hero. 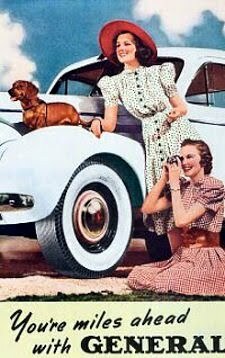 The Wiener Dog Revolution will continue until the world obeys the Dachshund's radical, yet peaceful ideology." 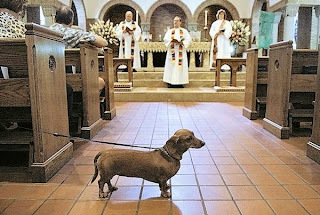 Obey The Dachshund. 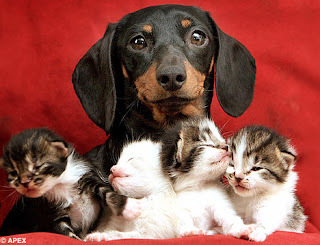 Meet 'Roxy' and her four kitties. Roxy was due to give birth this year, but lost her puppies. 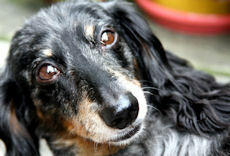 Her humans are miniature dachshund breeders, but were surprised to find Roxy in the shed nursing the abandoned kitties. Best of luck Roxy, you're quite the mom! Read the rest at The Daily Mail. "She is very protective and couldn't be happier." 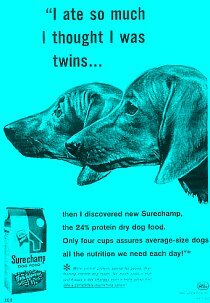 Enjoy a new commercial from Pedigree dog food featuring a.....you guessed it.... a dachshund(!) and have a great day! Meet 'Peaches' and her proud mom Tanya Petrucha of greater Chicagoland. Peaches, aka 'The Flying Sausage,' earned enough flyball points on Sunday in Iowa to become the #1 Mini Smooth Dachshund in North American Flyball. Way to go Peaches, we're so proud of you! We know Peaches personally, and she's the best girl. 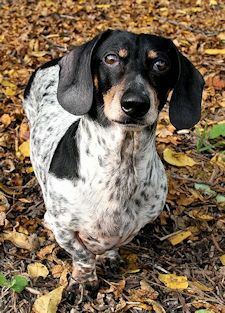 She was a rescue girl with a troubled past, but her love of balls and her caring mom led her on to great things including flyball and even wiener racing down in Buda, Texas! From Tanya: At our flyball tournament on Sunday, The Flying Sausage became the #1 Mini Smooth Dachshund in North America Flyball!!! I can't even begin to express how proud I am! When we first started racing, I figured it would be years before Peaches earned enough points to celebrate this if we ever did at all. She's only been racing for 15 months! She never ceases to amaze me with her determination and spirit! Find out more about flyball at the North American Flyball Association. Peaches flies over the hurdles with proud Dad, John Petrucha, at the box. The Flying Sausage relaxes between races. Enjoy this video of the race along with some others from the tournament. 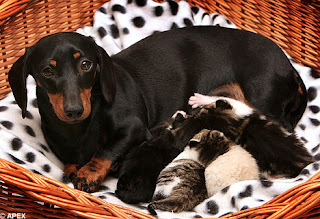 What a beautiful photo, and we're glad to hear that the new dachshund mom and her puppies are doing great! This is an excerpt from Critter Capers, "a recently graduated veterinarian's capers with critters of all shapes and sizes...plus other animal news of interest." And the other big news of this week was that I had my first emergency C-section! 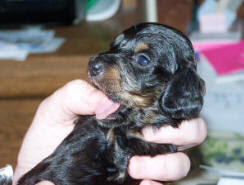 This little dachshund had been in labor for 24 hours and had produced one puppy...almost 12 hours before the owners called me. Very long story short, we ended up doing a late night C-section on her Thursday night. All told, she had 7 puppies (5 males, 2 females) all of whom were alive and doing well by the time they left. The owners weren't quite sure what the father was (either a Peke or a Chihuahua....probably a Peke by how the pups looked), but I'm sure they'll be pretty cute when they grow up. 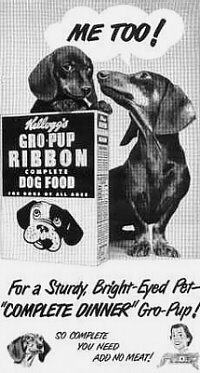 Mom had been hit by a car when she was a puppy and had a pelvic fracture, which -- combined with the fact that the largest pup in the litter was blocking up the works -- explains why they had problems. I certainly hope they do well! 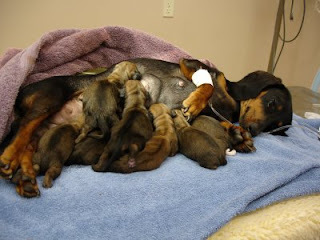 Here is a pic of the new mom and her litter while she was waking up from surgery. Check out lots of fun animal stories and news at Critter Capers. 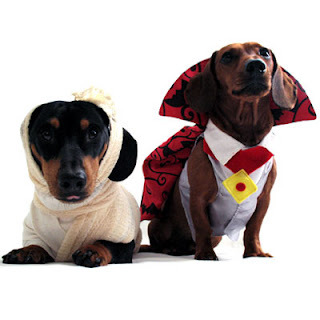 What do you dress your wiener dog as for Halloween? Well, a hot dog, of course. 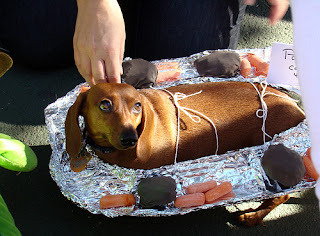 And yes, the whole 'dressing up a dachshund as a hot dog' is overdone a bit, but it's fun, and people love it. 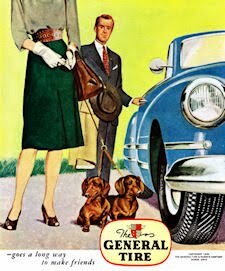 So do most of the dachshunds. Meet 5-month-old 'Lola.' She's quite the pampered pooch, as mom made this hot dog costume for her, as well as most of her outfits. Lola loves to wear her clothes as much as mom enjoys making them. Read all about it, as well as some tips on choosing a costume, and where to buy at The Daily News out of Halifax, Nova Scotia. Better hurry and get that costume together! Who? Rosita Serrano (1914 - 1997) was a Chilean singer and actress who found her greatest success in Germany in the 1930s and 40s. 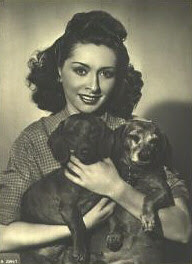 We don't know the names of her dachshunds, but it was popular to photograph artists and their pets. In 1943, a Nazi arrest warrant for espionage ended her career, as she had given concerts for the benefit of Jewish refugees in Sweden. 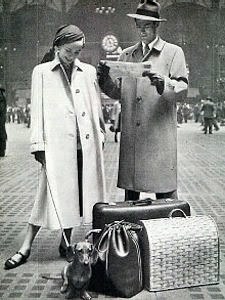 She didn't return to Germany, but from Sweden she returned to Chile, then she tried to start a career in the US, but was met with hostility due to the German songs in her repertoire. 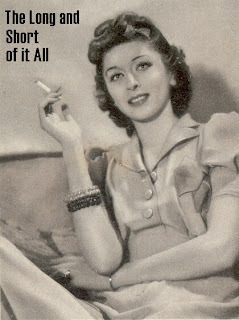 She tried to revive her career in Germany again in the 50s with only moderate success. She spent the last years of her life in her native Chile, and died in extreme poverty. 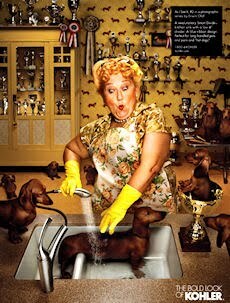 We're betting that she sang to her doxies, and know that they provided her great happiness. You can see it in the smile on her face. Find out more about Rosita Serrano at this translated German wikipedia link. Listen to the "Chilean Nightingale" sing at youtube. What an awesome photo! 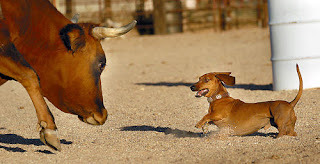 Meet 'Ziggy Boy,' the 4-year-old feisty red smooth dachshund who enjoys "bringing cattle up the alley" and is also a contender for the Wienerschnitzel Wiener Nationals December 27th in San Diego. Go Ziggy Boy! 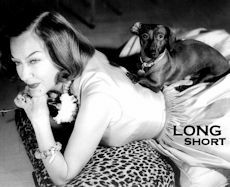 His humans, Zenaida and Larry Olivar, who also rodeo, entered Ziggy Boy in their local Wiener Nationals October 13th, and he smoked 70 other dachshunds to advance to the finals. See more pics and read more about Ziggy Boy at The Tucson Citizen. 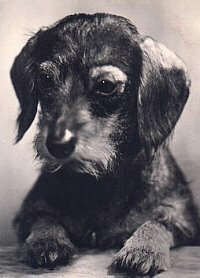 'Anja' (pronounced Ownya, whose nickname is Onion), is a 10-month-old wire haired dachshund who, unlike most doxies, actually works for her dinner. She blood tracks downed deer for her human, Paul Lerp. 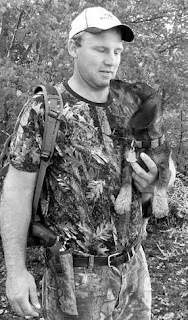 New legislation was enacted in Anja's home state of New Hampshire which allows trained and leashed dogs to track wounded deer, bear, and moose. This practice is common in some states and Europe, and mandatory in Germany. Anja has already located three downed deer this fall for archery hunters. Lerp says “There is no disadvantage to this. It’s good for the hunter and the state’s deer herd as well. 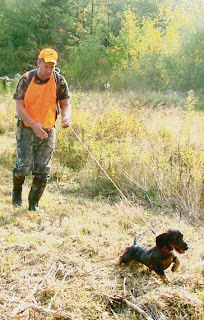 Finding downed deer is part of the ethic of hunting and having tracking dogs certainly helps make sure that downed deer don’t go to waste.’’ If you're interested in finding out more about using dachshunds for blood tracking, read the rest at The Weirs Times. Note that this link is to a big .pdf file which may take some time to download. 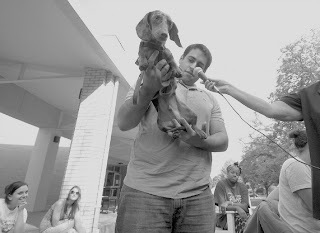 The mascot of Northern Illinois University, The Really Tall Dachshund. From a recent Late Night with Conan O'Brien. 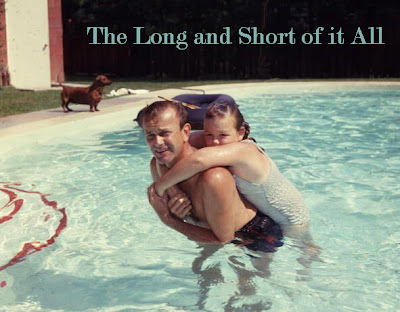 There's nothing Long or Short about it at all, but it's still funny. Have a great day! How's the view from down there? 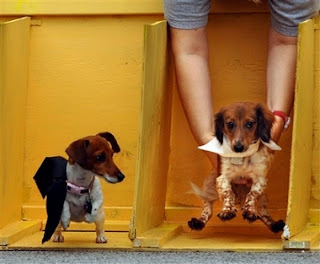 'Ozzie,' a one-year-old Dachshund from Durham, saw a lot of shoes, ankles, and lower legs at the Sixth Annual Weiner Dog Day in Carrboro, North Carolina on Sunday. 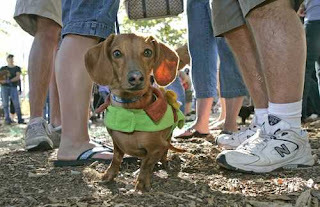 The Weiner Dog Day is a fundraiser for Dachshund Rescue of North America. Events included an obstacle course, costume contest, and raffles. 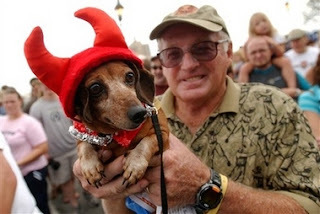 There were also prizes awarded for best trick, shortest, oldest, longest, and farthest travelled dachshund. DRNA also had local available adoptees. Sounds like fun! See more pics at Chapel Hill News. See a fun video at The News and Observer. 'Mollie' gets some well deserved attention from Leslie Moyer. Two years ago, Mollie had a herniated disk repaired and now gets around with the aid of a cart for her back legs. Mollie and her cart won first place in the best costume contest. God Bless 'Happy Feet.' The poor girl was born without front legs, but she's going to get a chance at life. A breeder recommended that she be put down, but her family and PAWS of Northeast Ohio are searching for other options. See the video at myfoxcleveland. Contact PAWS to adopt the beautiful girl. Thanks as always to Jerry S. for the link. Meet 'Pickles,' the pretty black and tan wire-hair who beat out 51 other wiener dogs on Saturday to win the Wiener Races in Centralia, Washington. Way to go Pickles, and enjoy that $100 prize! Excerpt from The Chronicle: Pickles. It’s not a name that inspires fear, but on the racing circuit, being underestimated is often the best strategy. With her scruffy face and faraway stare, Pickles was the longshot at Saturday’s first-ever Wiener Dog Races at Pioneer West Garden Center in Centralia. 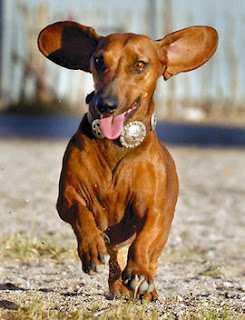 Other racers were leaner, hungrier for victory, and more aerodynamic by wiener dog standards. But once Pickles hit the outdoor track, mouths dropped open, stumpy wiener dog knees buckled, and the faces of the other 51 racers grew pale. 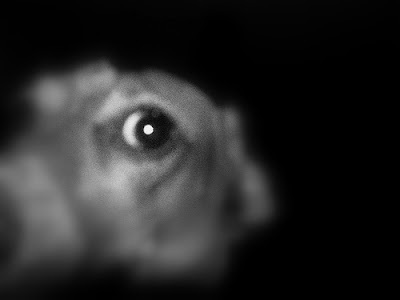 This dog, this Pickles, possessed a rare combination of lightning speed, unwavering calm and the pristine focus of a champion. The grand prize, $100, will go to enhancing Pickles’ already winning diet, she added. 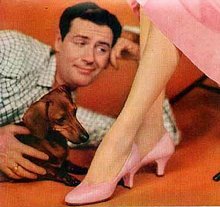 “She’ll get some meat on her kibble tonight,” said Toulson. Read the rest at The Chronicle. Jon Scott, of Rochester, celebrates a first-round win with Elvis, his 1 1/2-year-old brindle dachshund. Smiles all around. Looks like all the doxies had a great time at the Galena, Illinois Wiener Dog Races on Saturday as part of the Galena Oktoberfest. GO GO GO Wieners! 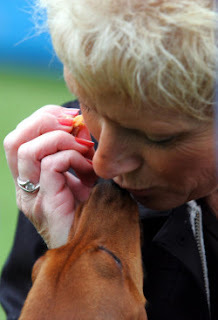 Above, Saundra Kin gives her dog 'Chevy' a kiss before the start of the races. Excerpt from The Telegraph Herald: Ready...set...scamper in some random direction. 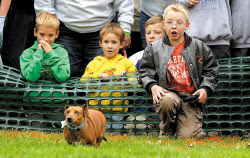 The wiener dog races in Galena Saturday were to high stakes greyhound racing what tee-ball tournaments are to Major League Baseball playoff games. But everyone was out to have fun at the first Galena Oktoberfest, where beer flowed and polka ruled. It was the first such event put on by the Galena Lion's Club and organizers hope to make it an annual fundraiser for the group's vision and hearing projects and screenings. 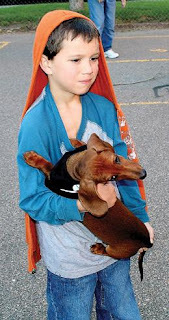 Club president Jeff Holder organized the wiener dog races, open only to dachshunds, although interlopers from other canine breeds came to watch the contests. 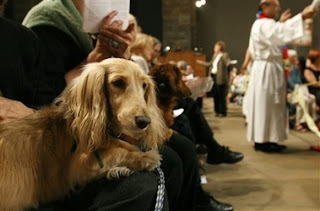 Holder, owner of Mia, a long-haired dachshund, set the tone for the lighthearted event. 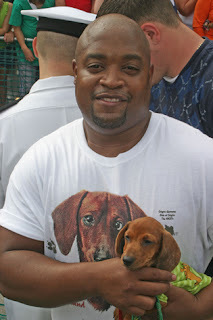 "Remember, there are no losers here -- they're all...wieners," said Holder, sporting a T-shirt with the outline of a dachshund and the text "I love my wiener." See a cool video, more pics, and read the rest at The Telegraph Herald. Ryely Moser, 9, watches as his dog 'Pudge' heads toward the finish line. 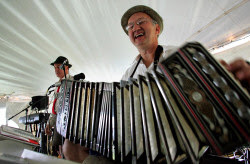 Jim Busta, of the Jim Busta Band gives Oktoberfest goers something to dance to. Enjoy Vanessa Carlton's new video for her single 'Nolita Fairytale' from her new album 'Heroes and Thieves.' Her pretty red long-hair (sable?) 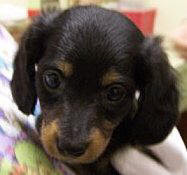 dachshund 'Victor' makes his big debut! The second video is a clip with producer Irv Gotti, a live version of the song, and a better look at Victor. Thanks to Veronica A. for the tip! Saint Francis of Assisi (September 26, 1181 – October 3, 1226) was a Roman Catholic friar and the founder of the Order of Friars Minor, more commonly known as the Franciscans. He is known as the patron saint of animals, birds, and the environment, and it is customary for Catholic churches to hold ceremonies honoring animals around his feast day of October 4. 10-year-old black and tan 'Gretchen Marie' was dressed in her Sunday best for the Naples blessing. 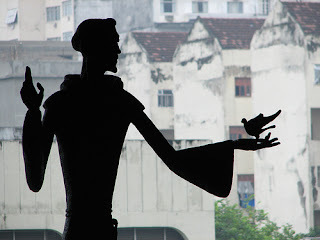 Saint Francis statue in Rio De Janeiro as photographed by David Walker. This is what happens when you leave your dachshund in a running car while you go "fishing." Glad to hear he's OK! 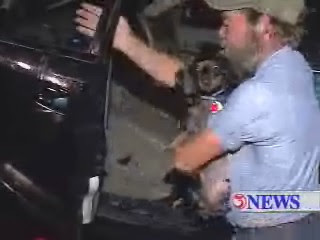 Excerpt from South Texas' kiiitv: This story may leave you with more questions than answers because it involves an SUV and a dog whose owner says, the animal drove the vehicle into the Laguna Madre. The SUV which is hanging halfway out into the water and the engine is still running. Inside the vehicle a poor little dachshund is probably hoping someone will come to his rescue. It was just after seven Saturday when a couple decided to go fishing here underneath the JFK Causeway Bridge. 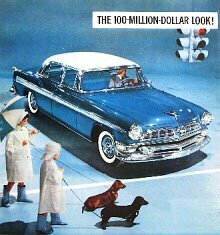 They left the dog inside the SUV and left the engine running. They say the dog must have put the SUV into reverse and into the water. Emergency crews told us it looked like the couple may have gotten into an argument and one of them backed the SUV into the Laguna Madre. Either way, they're sticking to their story and the dog, he's not saying a thing except thanks to the firemen who rescued him. Watch the video at the kiiitv link. We're guessing that 'Tippy' is a black and tan smooth piebald. 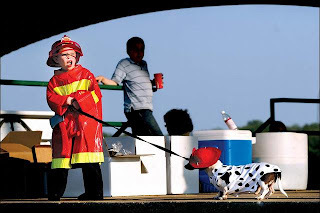 Tippy and his human Drew Juliot, 4, took 1st place in the costume contest at the Harvest Homecoming Kids’ Dog Show on Monday evening in New Albany, Indiana. Way to go Tippy and Drew! 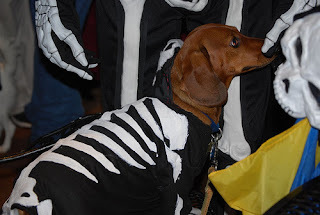 Looks like Tippy isn't too thrilled about being dressed up as a dalmation, he's got too much dachshund pride. Read all about it at The News and Tribune. The Long Shot. The Underdog. LONGFELLOW. Can we get a pawtograph? 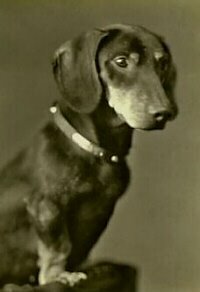 After a car accident just last year which resulted in the amputation of his left hind leg, 'Longfellow' defied all odds last Saturday and beat out 178 dachshunds to win the 13th annual Wiener Dawg Races organized by the Savannah Dachshund Club. We're so proud of you Longfellow! 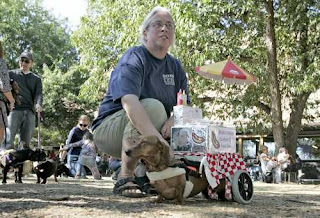 Excerpt from Savannah Now: Although the weather looked questionable early Saturday morning, wiener dogs and their owners turned out in droves on River Street to participate in the 13th annual Wiener Dawg Races organized by the Savannah Dachshund Club. The question on nearly everyone's mind: How's the three-legged pooch going to do? 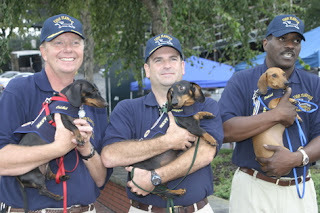 An estimated 178 dachshunds participated in a total of 18 heats, based on their ages and sizes, including a special heat for dogs with armed forces owners. So, the competition is growing - nearly 150 dogs participated in the races last year. To keep the qualifying heats from taking too much time, this year's race chute was expanded to 10 slots. The final heat involved the 10 fastest dogs, with Longfellow - the three-legged wiener dog - beating the odds and winning first place overall. "This is the top dog of the East Coast," said Scott West, co-coordinator of the race, as he announced Longfellow as the winner. The dog's owner, Sheila Phillips, said this was Longfellow's second race, but it was his first with only three legs. Last year, Longfellow was involved in a car accident, resulting in the amputation of a back leg. Read the rest, and see a great video and tons of pics at Savannah Now.